Behind the scenes footage of D-Gibbs' "ZShocks And Tubesocks" mixtape cover shoot that was shot by Miami's very own photographer Derick G and filmed by Daniel of ABDCDesign.com. The mixtape will be dropping soon. Yes, another ZShock exclusive. 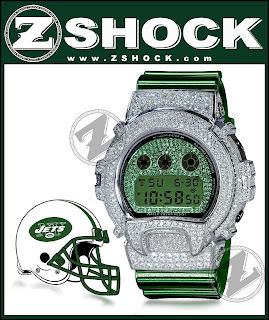 The New York Jets X ZShock Ultra version. An all white diamond bezel with a green diamond dial. 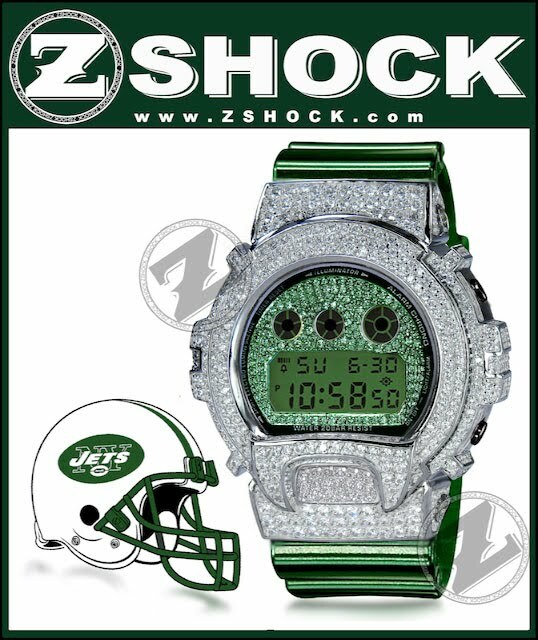 This piece is custom made and prices available upon request, contact ZShock's Special Order Department at 1-877-7ZSHOCK. The young up and coming rapper from Pittsburgh named Mac Miller @MacMiller was recently spotted ZShock'n. Shout out to John Geiger @GeigerGeiger, he tweeted & spotlighted this Youtube video of Mac Miller going off in a Concert he had. Make sure you get Mac Miller's new K.I.D.S. mixtape, we were impressed and keep it in rotation here at the ZShock HQ. Stay ZShock'n!